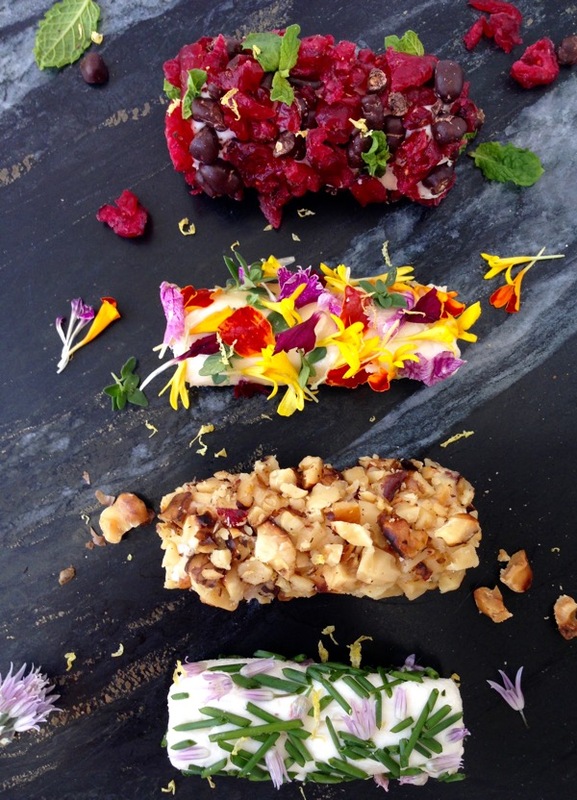 11 Epic Ways to Dress Up a Goat Cheese Log! 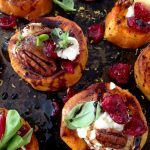 From cranberries to chocolate, pistachio and chives, these goat cheese logs are sure to steal the show! 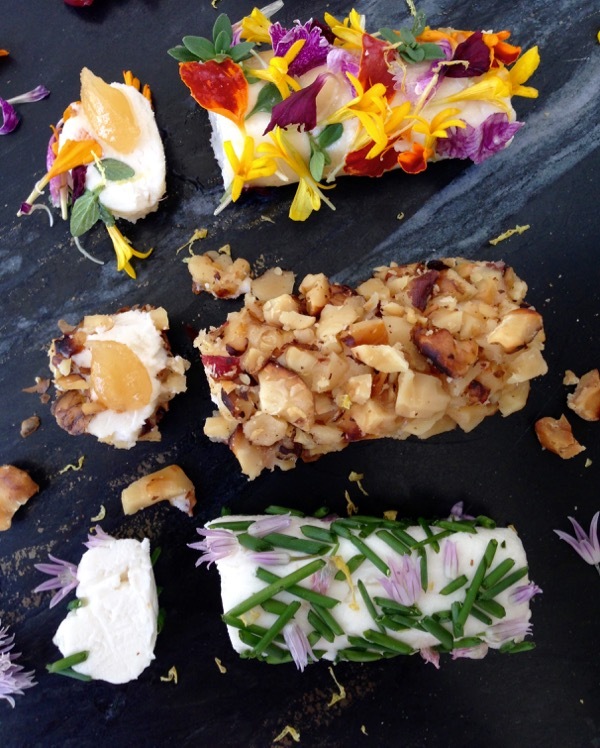 Please don’t hate, but this week has been all about discovering goat cheese log recipe ideas. Because everyone loves a cheese board, and how can you have a cheese board without the incredible goat cheese log display, right ?! Impossible! 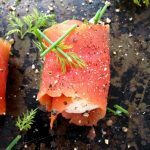 Yes, you can buy some gourmet goat cheese logs at the store, but they won’t be anything like what you can make at home! 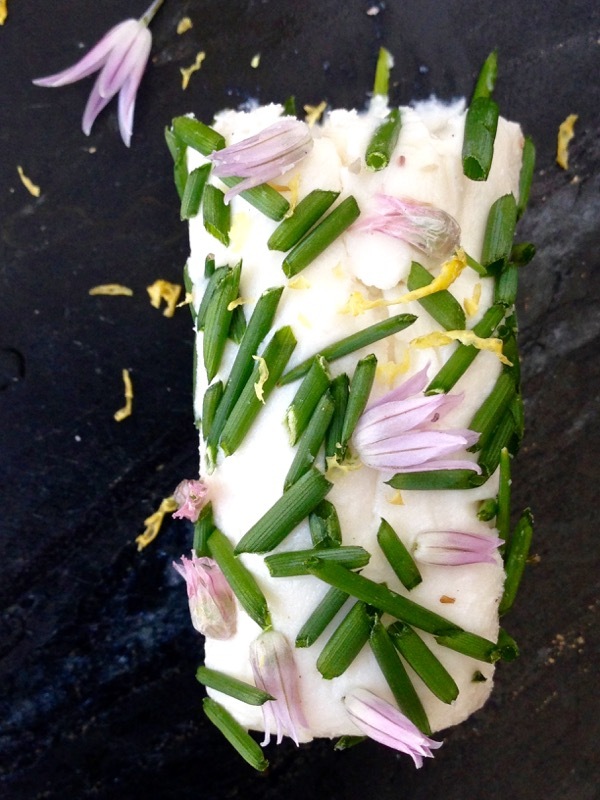 I am however, especially fond of the Chive and chive blossom cheese log recipe. That one for me is perfection served with little sea salt crackers, I could live on that. But then again, the edible flowers with the wild honey are just magical as well. And don’t even get me started on cranberry and dark chocolate covered acai. Too good! The BatMan was all about the cranberry and pistachio cheese log recipe, at a tie with the honey walnut log. The struggle is real! I just can not pick a favorite, I used flavors and textures here that really compliment each other, so depending on availability and your mood you can decide for yourself. 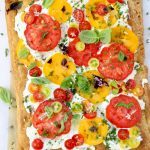 I think it is really fun to go for a few of these goat cheese log recipe ideas when creating your cheese board. Not because they are all so delicious, but because it also brings people together in conversation around the goat cheese board. Usually we throw together a bunch of different cheeses and fruits and nuts, and way too many crackers, and preserves. Which actually confuses people because most of the times they don’t wanna decide what goes with what at a party, and they’ll have a bite of this and that and move on. 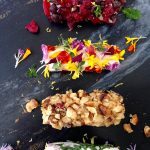 This is why dedicating an entire board to the goat cheese log recipe ideas is brilliant! The logs are already dressed in the perfect pairing, your guests only need to dig in and taste test. To make your life easier I would even separate the sweet and the savory onto two different cheese boards with a nice hand-made sign. Makes for a lovely display that’s for sure. I suggest coating the sweet logs in wild honey first and the savory logs in olive oil. This will enhance the flavor profiles of all the ingredients but also help the toppings stick to the cheese. 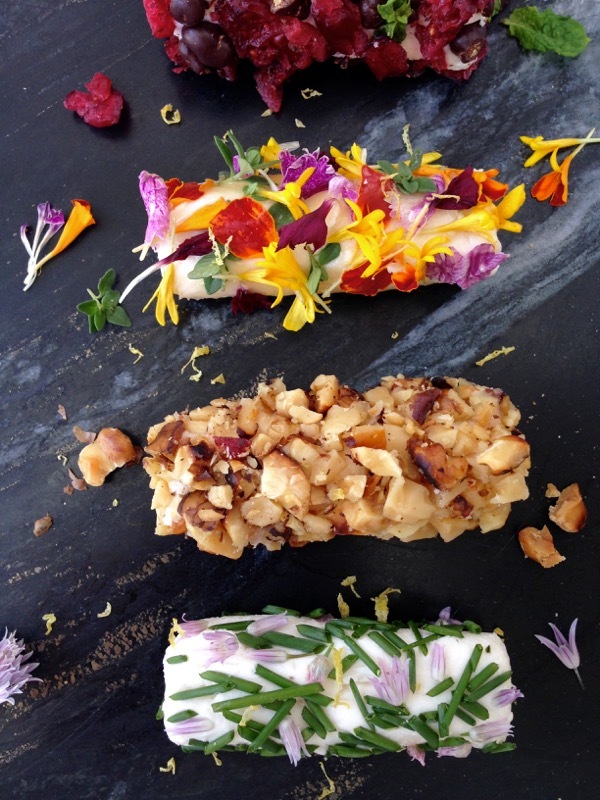 Here are my 11 Epic Goat Cheese Log Recipe Ideas! So tell me, what is your favorite goat cheese log recipe ? Do you have a family favorite ? 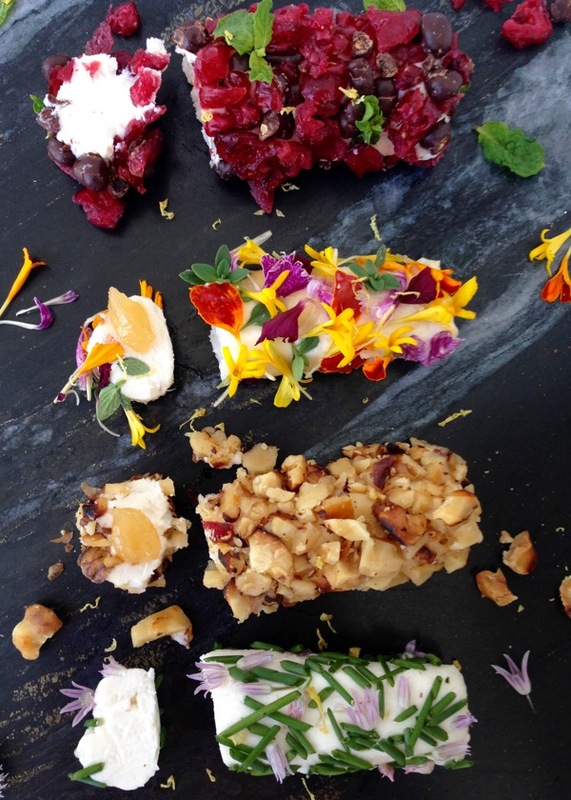 11 Epic Ways to Dress Up a Goat Cheese Log! 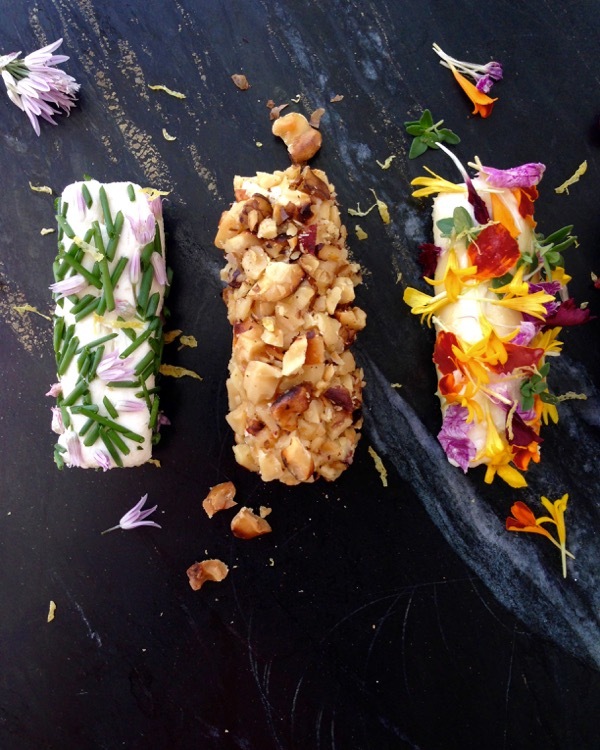 From cranberries to chocolate, pistachio and chives, these goat cheese logs are sure to impress! Cut the goat cheese into 11 thin logs. Depending on the size of your initial log you'll want to cut it lengthwise and crosswise to make 11 thin goat cheese logs. Transfer each log to a sheet of parchment paper and roll it to create a round log as the initial one only smaller and skinnier. 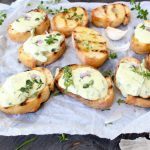 Drizzle the honey on a plate or cutting board and roll the goat cheese logs in it, except the ones you want to coat in a savory mix, like the chives. Spread all your toppings in different piles on another plate. Take each goat cheese log coated in honey and roll it in any of your sweet toppings, using your fingers to gently pat on the mixture and make sure it sticks to the goat cheese. Garnish with the fresh lemon balm or mint and transfer to a cheese board and refrigerate covered with plastic wrap until ready to serve. Repeat the above process with the savory toppings, only this time you will coat the goat cheese log in the olive oil first. Transfer to the cheese board and refrigerate covered with plastic wrap until ready to serve. Grate the lemon zest over the cheese board just before serving. Make sure to bring the goat cheese logs to room temperature for a few minutes before serving, so they are creamy and spreadable. Me too ! What a delight ! Oh these are all so pretty!!!! Oh and caraway seeds and dill. I love caraway seeds. 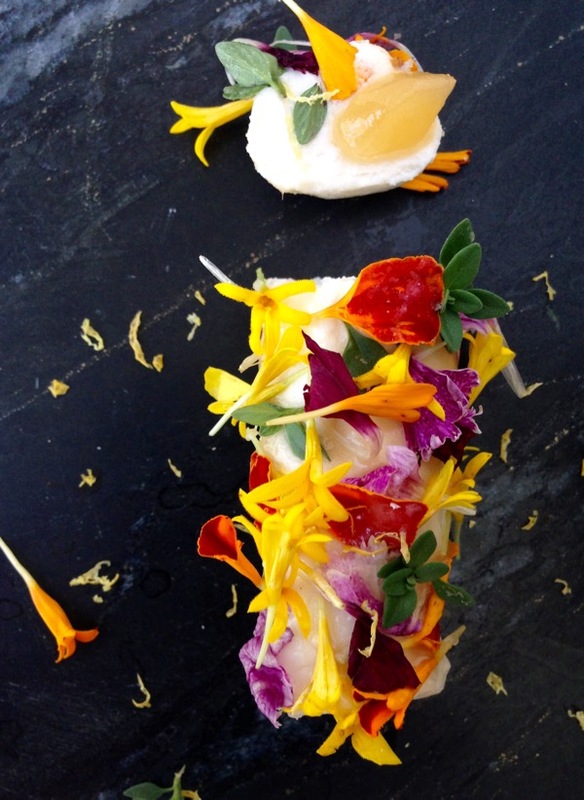 Your food….you turn them into beautiful art. Gosh I love sharing your stuff. 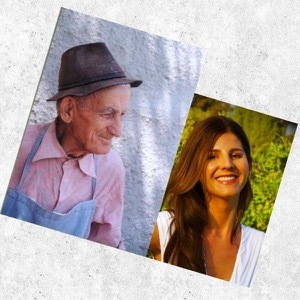 Your eye for style is just beautiful! These logs are GORGEOUS! Also it all looks so delicious. I featured this in my food blog’s recipe round up for the “Twenty Best “No-Oven” Thanksgiving Side-Dish Recipes.” Thank you for sharing it and here is the link! 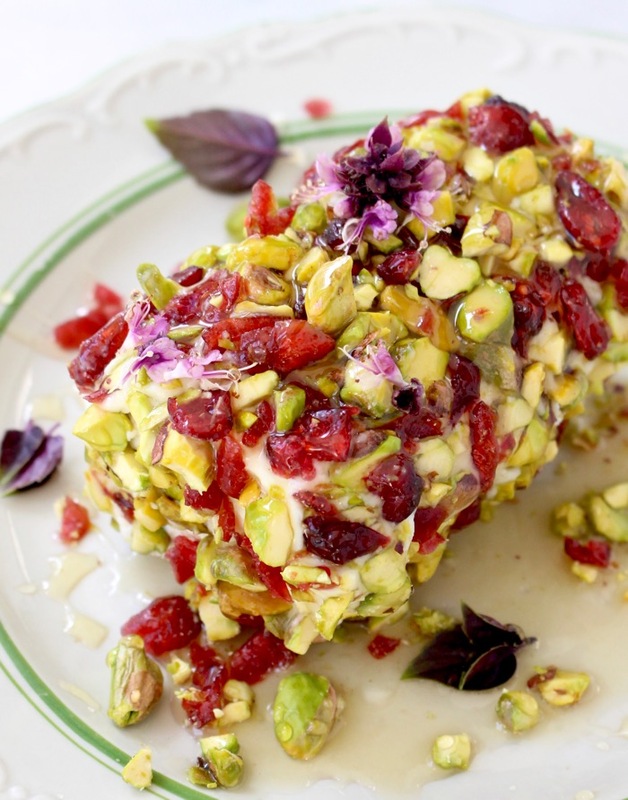 The pistachio cranberry looks amazing! One question, though. The description says “2 tbsp dried cranberrie + 2 tbsp slated pistachios”. Should ‘slated’ be ‘salted’ pistachios? Thanks for the clarification. Hi Melissa, Yes those should be Salted pistachios, auto correct still gets me to this day. Thanks for pointing that out!